Hello! 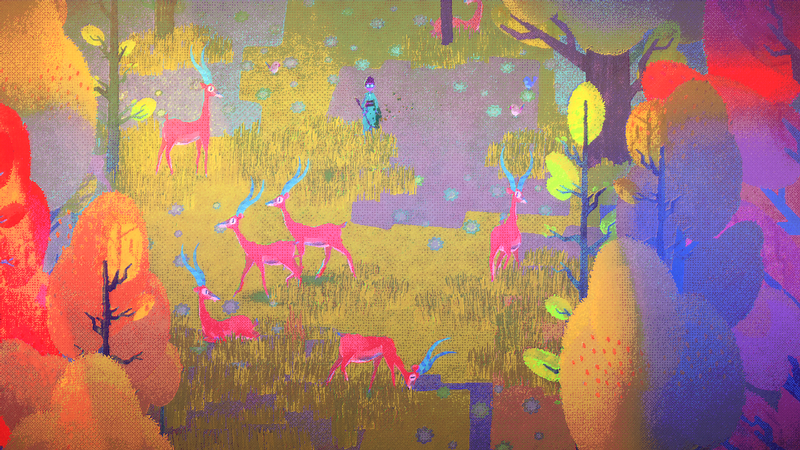 Welcome to the (updated) TOTEM TELLER DevLog. I’m Ben Kerslake. I do art, level design and write. My creative partner, Jerry Verhoeven, is coding the game and tools. Design is collaborative. We've not yet announced a composer officially, but we are working with someone. We have been working together on this project, part-time, for over two years. Most of that time would qualify as pre-production. We're currently trying to fund a full-time production period to finish the game. Guide a wandering muse on a transcendental search for inspiration. 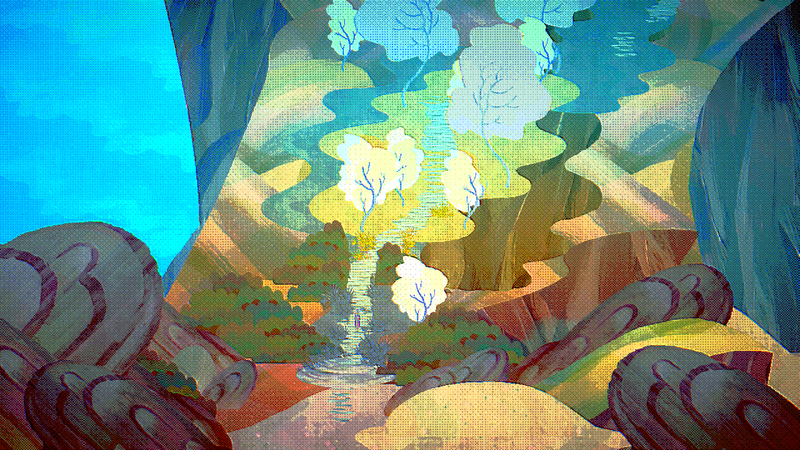 Discover and interact with a mishmash of characters and places drawn from folklore. Be lost in a sprawling, broken place without limits or strict objectives. Resolve and retell stories. Make choices that change the game world. 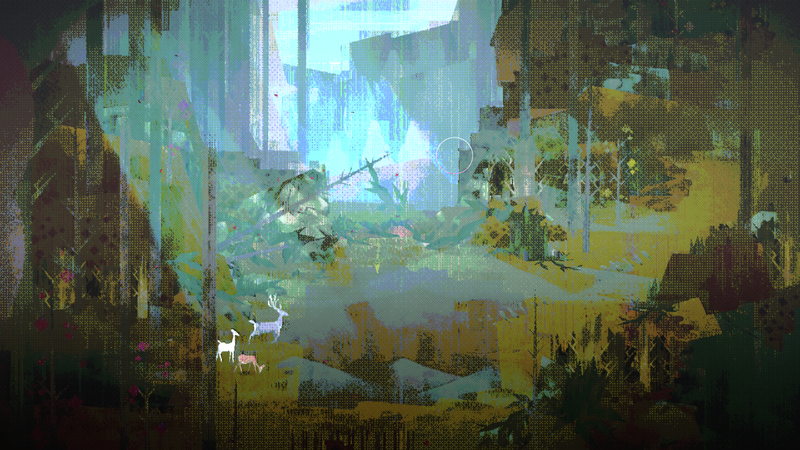 Vivid storybook art, transformed by compression and glitch artifacts. A soundtrack organically interwoven with your unique journey. Graphic artifacts produced through the reduction of detail and color bring a new kind of beauty to source images - something not present in the original. Parallels can be drawn with physical print-making process. Glitching in Totem Teller signifies lost or unfinished story content. Where there is no story, there is nothing. Wherever something meets nothing, there will be glitching. 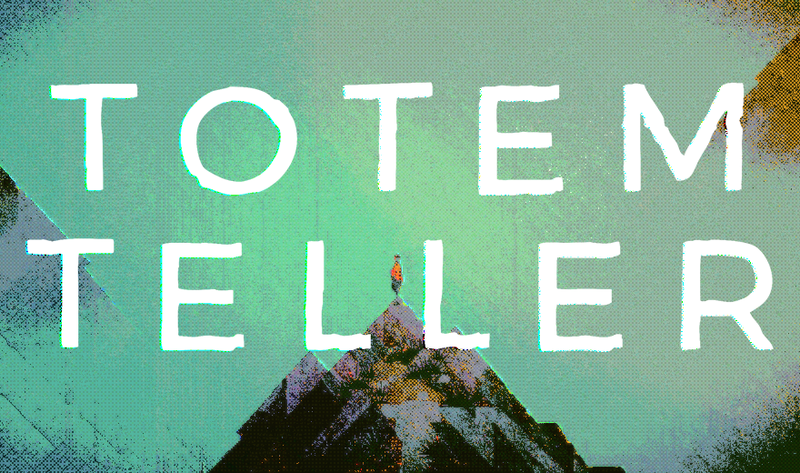 Worlds in Totem Teller are built around loosely collected stories. Each story is somehow broken and distorted. Wow this game looks beautiful! I love those visuals. I really like the idea of piecing together the story after you explore around the world and look at things. Will the game feature combat? 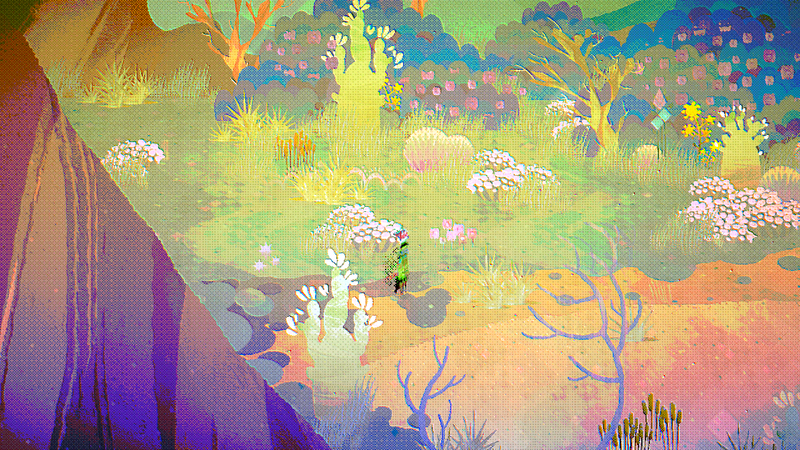 Or is this a more narrative / puzzle game? I will be keeping an eye on this! Good luck! Lovely OP layout and beautiful artstyle, commenting to follow! Thanks Chris! Definitely the latter. You won’t directly kill or harm anything. No combat or hazards in the world, and you cannot die. Some events certainly can be fatal to story characters, but it’s all decided through dialogue or interaction. Degradation of information is a key theme in the game. We’re threading this into the art by emulating various forms of image compression/reduction, mainly through a lot of custom post-processing. One effect recently added is gradient mapping. We thought it would be interesting to use for color grading (where we already have a slew of other stuff happening) and other more glitchy output. In short, (greyscale) values of the source image are mapped to a gradient. The darker values are replaced by color on the left side of the gradient while lighter values are replaced by colors on the right. Pretty simple. 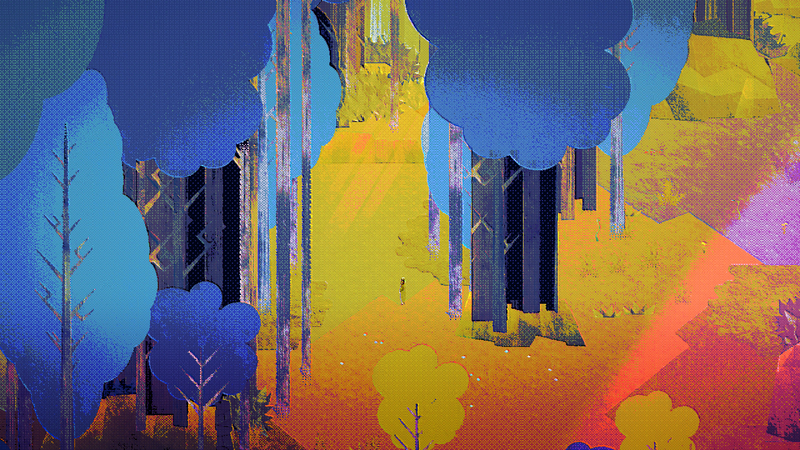 This might work nicely in Photoshop, but we’re using Unity3d and we want to achieve this same effect in real-time. In our case we want to apply it to the whole screen as a postprocess. This means replicating the effect in a shader. //This is a variable in the shader. //This is a function inside the shader. 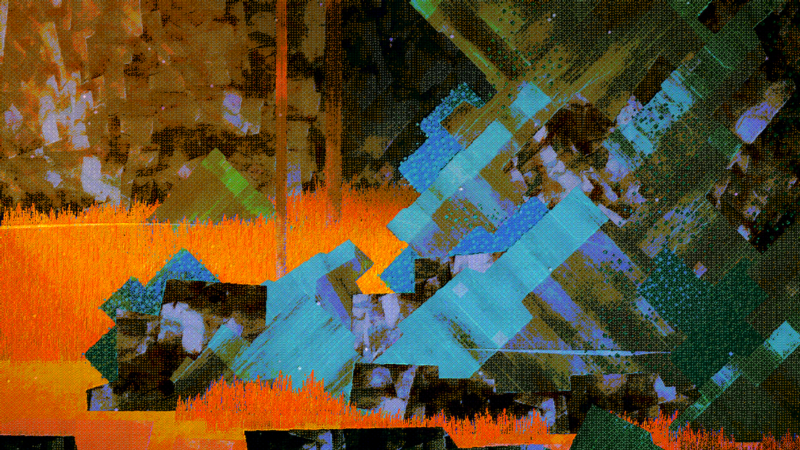 //This is the fragment shader. //Get the grayscale value of the pixel. 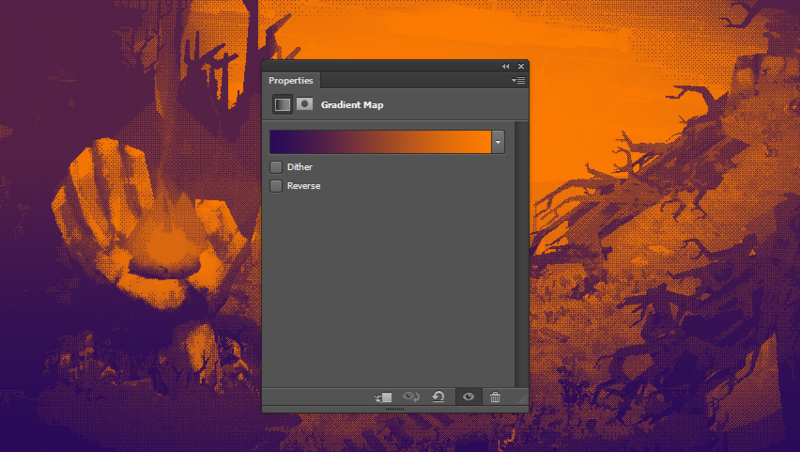 //Use the grayscale value as the x-coordinate of the UV for the gradient map texture. The gradient map texture is 256 pixels wide because there’s 8-bit per channel in the shader which means 256 values (0 - 255). This means we can map 1 value to one pixel on the gradient. Here’s an example of an extreme gradient map being applied(after). In this case I used the 4 color palette from the original Game Boy. Though we wouldn’t use this ‘Gameboy’ treatment exactly as is, there are definitely scenes where we’ll work with as little color: Maybe less We really want to explore the full range of the emergent beauty of image degradation. Add a lerp to blend between the rendertarget and the gradient mapped colors. Add controls for the y-coordinate of the UV (in combination with multiple gradients in one texture). Add panning or Distortion to the UVs for some crazy effects. ive been seeing pics passed around on twitter for the past week or so, nice to see it on TIGS! Posting to follow, good luck! Looks great so far! Really unique visuals! I love it! Will the story be linear or have different branches? Wow that's totally mind blowing! Good luck with this project! You had me at dialogue or interaction! You've earned another follower. Really great and interesting aesthetic. Hearty thanks for the comments and encouragement. A lot of our initial focus is in realizing the world, concurrent to my writing the branching dialogues that form the script. It's reassuring to know that it resonates aesthetically. 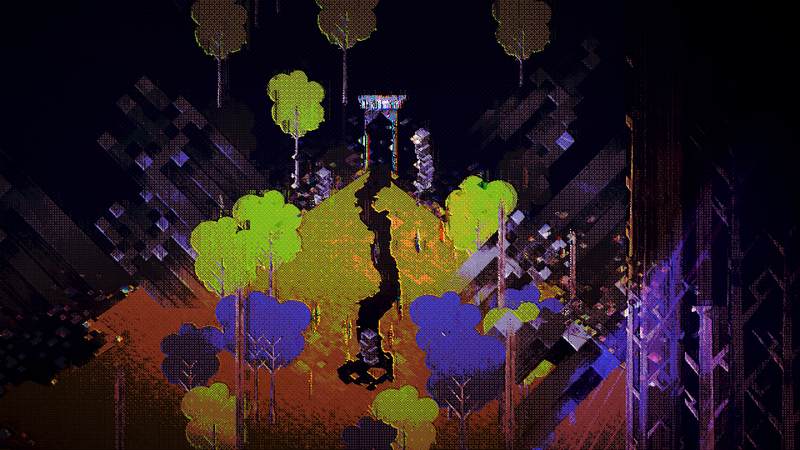 The visuals actually have a ways to go yet, but we're pleased with the foundation. 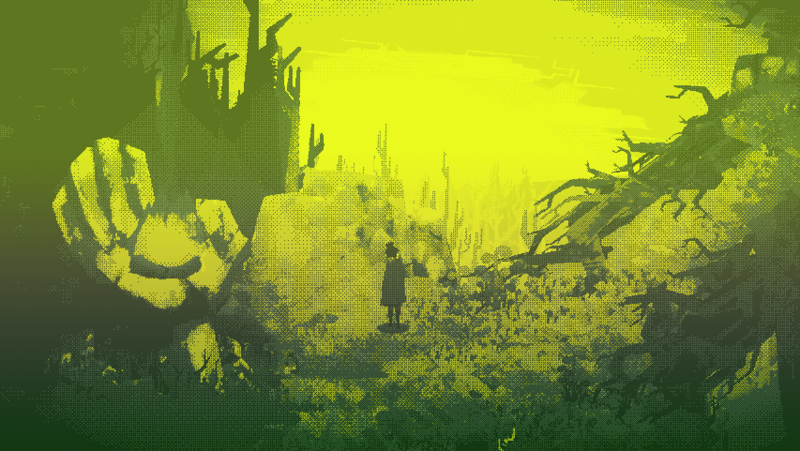 This week we did some visual development for the Story Void. Though a simple sort of place, the role it plays is very important so we wanted to push it forward a bit. The appearance and effects of the Void vary, but it generally represents a loss of story data. Or, at least, a loss of narrative structure for that data to hang on. The Void is more than just sub-atomic story dust, though. It is where the story is initially projected by the Teller. In addition, when world geography isn’t implicit in the Telling (never specifically described), the Story Void can be manipulated to bridge those gaps and act as a channel of traversal for the Teller. Laying down some simple shapes for the edge of the Void. The diamond/checker/hatch motif is sort of the fabric of the projected world so we’re using it often. 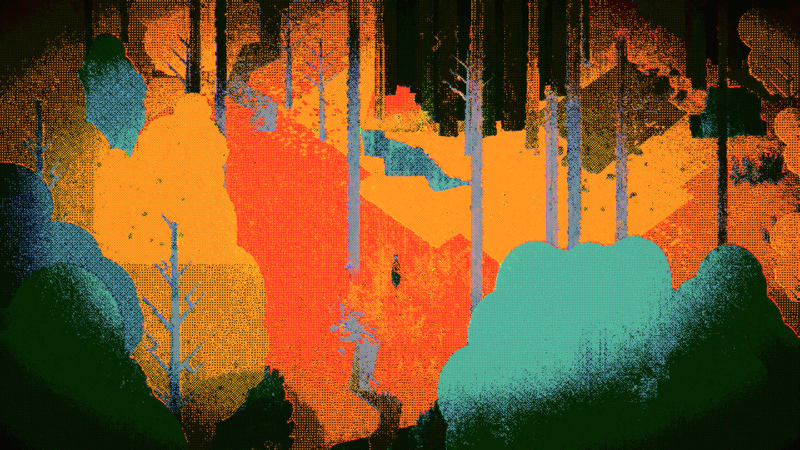 Colour and noise are added for basic depth. A shader is applied to create irregular edges using a tiling mask. As this type of void can be traversed - several animated layers are combined to lay in a rough path. Next step - animate that irregular void edge, try out some shaders that reveal path graphics based on proximity to player. There's also some specific 'anchor' points in the form of Teller technology that have to be integrated and animated. Awesome stuff. Absolutely love the nod to the Neverending Story (one of my fav stories). Congrats on the pending baby! Sorry - I missed this one! At the core of the game is this idea: Stories, particularly oral storytelling, produce almost infinite variations as they're retold at different times by different folks in varying context. Parts of the story may be lost in Retelling, parts added, changed... it becomes something altogether new over time. Infinitely. In short, Totem Teller is about decision-making and creative process. That means lots of real branches derived from your dialogue choices. We're planning a post at the end of the month-ish on the dialogue writing tools, workflow and in-game presentation. I'll try to talk a bit more about branching scope then. Wow. The visuals are astounding. Great work. I did get some time to art-experiment more with the 'void' work from last log post. Have to start developing a set viz-language for these glitch types later. Some versions of the glitch shader will be on stuff that impedes traversal, some are interaction cues, others just signal cosmetic corruption. We added some nice colour-coded bounding boxes and custom icons in to the editor for level assets. Also, divided up our working main (unity) scene into several modular 'sub-scenes' for easier collaboration and asset org. Combined with some other mods we've added level design flows much more smoothly. While I've been taking it easy with the baby, Jerry has been working through all kinds of tech tasks. Fixes and improvements to our dialogue writing/branching tools, custom unity debug UI, dialogue system tests even more fab shaders... he's a champion level wizard More meat for future logs!